I’ve been getting a lot of pizza questions recently, so I just wanted to re-post a pizza story I did a while back. This was, of course, made from scratch (here’s the recipe) and it really tasted just as good as it looks. One of the most important tricks to making a great pizza is using a pizza stone…you just can’t bake a great crust without it. A pizza stone has a greater thermal mass then either a glass or metal pan and therefore holds and distributes heat better. It’s also porous, so it absorbs moisture from the dough as it cooks, all of which contributes to an amazing, crisp, uniformly browned crust. Also, definitely get yourself a pizza peel…they’re inexpensive and make putting the pizza into the oven a breeze. 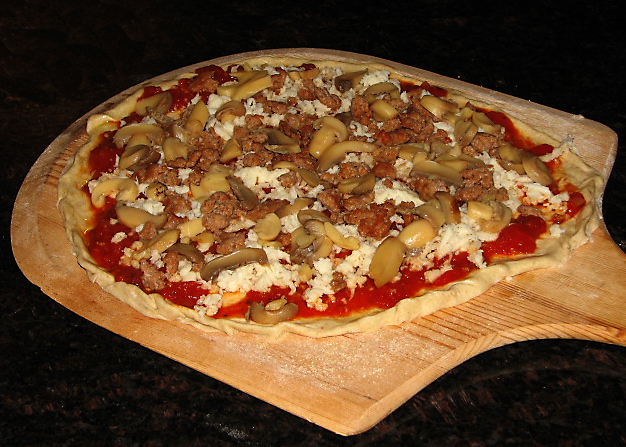 Pizza stones are available just about everywhere, and come in a variety of sizes and shapes (and prices). They should be put in a cold oven, then preheated for at least 30 minutes before using. Because they are porous and absorb liquid, the stone should never be washed with soap…just a dry brush or some plain, warm water if needed. 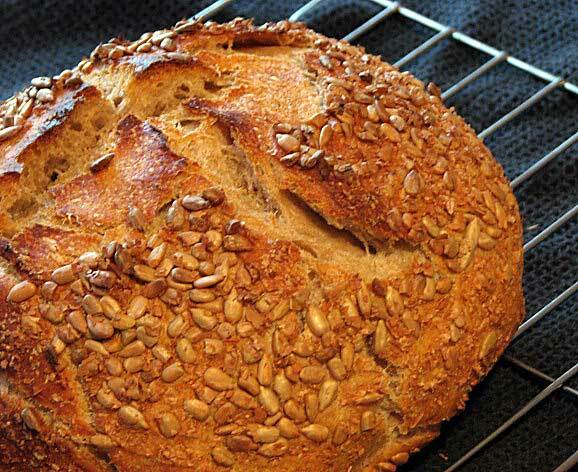 They are also ideal for baking bread. Nothing better then homemade pizza and this crust is simple and delicious. 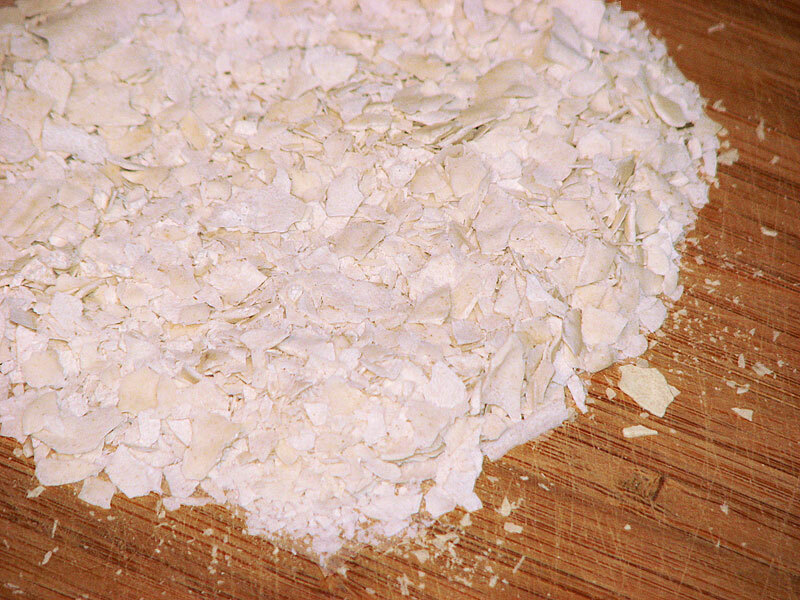 If you need sourdough starter, check out my bread post from last week. 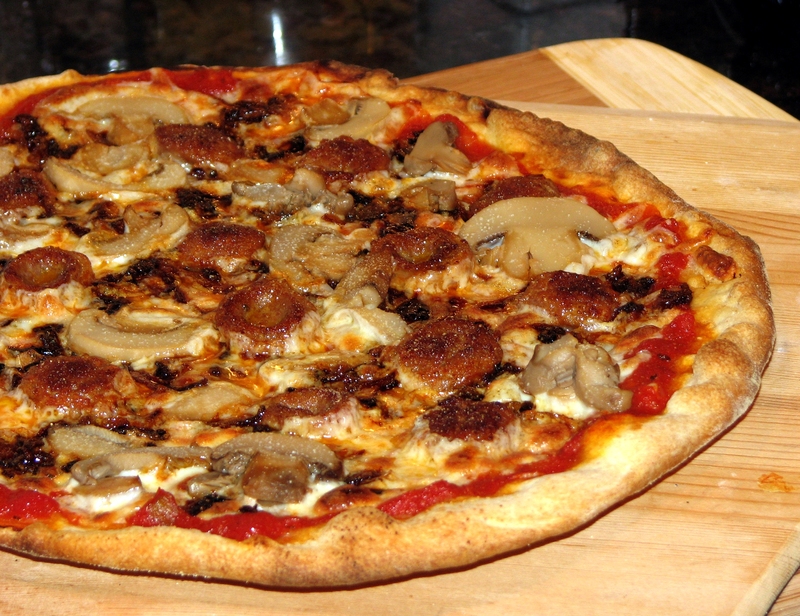 I prefer thin crust pizzas (being from the New York area…where we make REAL pizza), but if you prefer a thicker crust, it’s all here in the printable recipe. This is one of those recipes that appears to be a little vague at first, but once you try it and get the feel for how the dough should come together, it’s simple and quick to replicate whenever you get the urge…which for me, seems to happen about 3-4 times a week lately. And since the recipe makes 3 crusts which freeze incredibly well, you actually don’t have it make it that often. Just take one out of the freezer, and in about 3 hours, it’s ready to roll. The crust is also vary versatile and can be used in dozens of different ways. Just the other day, I topped one with just caramelized onions, crumbled goat cheese and drizzled some olive oil on it and it was amazing. It also makes a great calzone!